It may be a watery situation when it comes to ceiling leaks, growing mold and water damage in an office building. Make no mistake that SERVPRO of Claremont / Montclair specializes in commercial buildings including offices, restaurants, warehouses and banks. The picture shows one of our water remediation technicians extracting the water out of a dentist office after they experienced the sprinkler system going off. When water damage emergencies happen, we are not afraid to get our hands dirty. We go where the mold, ash and category 3 water is and clean, remove and extract every inch of it. Extreme damage requires very experienced technicians to take care of your home. As consumers, sometimes we tend to look for the most inexpensive estimate or the cheapest restoration company to get the work done. Keep in mind that just because the prices seems to be great, the results can be really disappointing. We have even experienced scoping affected areas that just became worse from “the other guys’” work. Don’t be fooled when it comes to your home or office. Do the research, see how the reviews are and definitely ask questions. The picture here explains what we see from other restoration companies. As you can see, the insulation has been left in the wall. That is a huge no-no, especially since it has mold growing on it. This space should have been contained. The twisted metal coming out of the wall should have been cut as well. Sometimes, it is unavailable to keep the heavy rains at bay. Water can seep into your home without anyone noticing for hours. It is vest to give us a call and avoid any further damage to your home or office. A prime example of what a little rain can do – big damage! 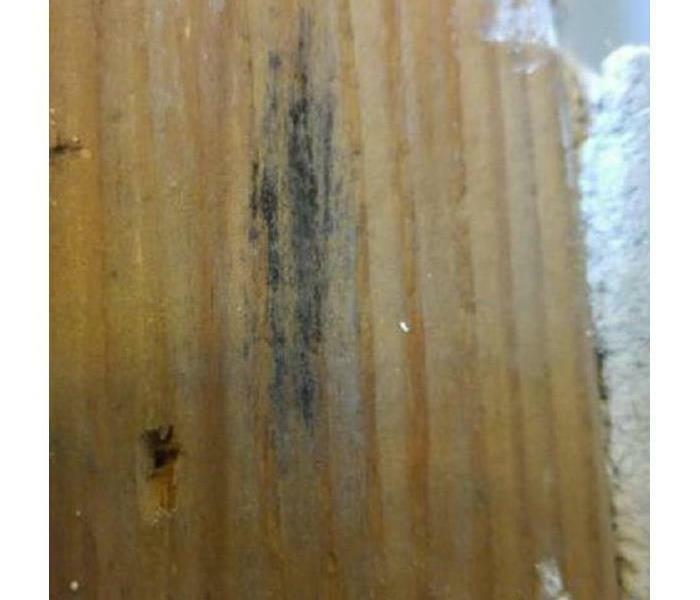 It is common to find mold in dark, moist places. 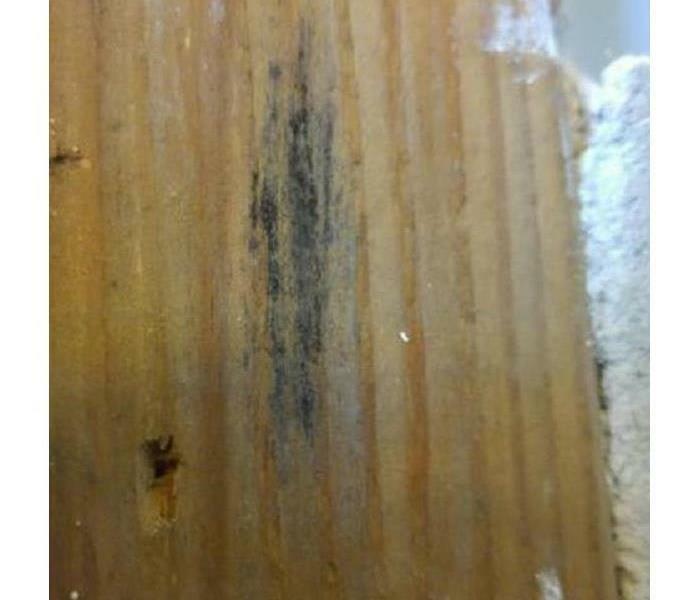 This panel was affected by mold. The entire thing had to be removed completely to avoid any further growth of it. The summer days are just around the corner, but this San Gabriel Valley resident really felt the heat. Please be careful when cooling off while you sleep. 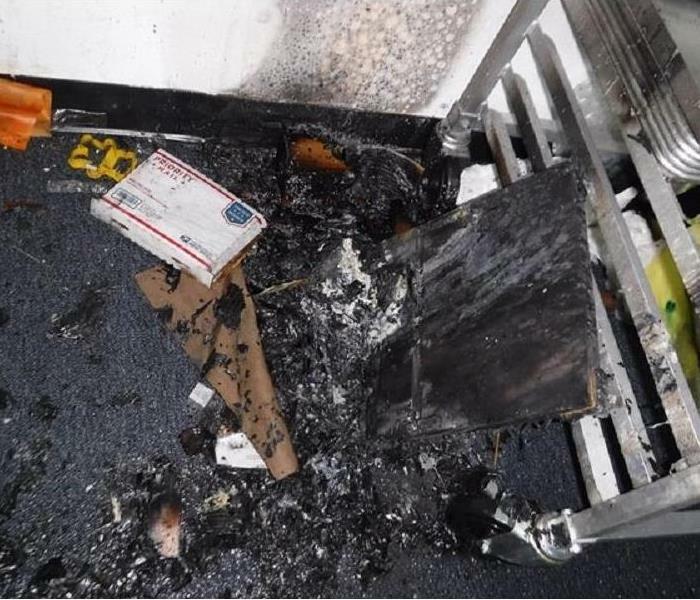 This portable fan was the cause of a house fire. Putting ourselves in the shoes of each client is that little extra service you will find from SERVPRO of Claremont / Montclair. The homeowner was very stressed out after discovering the damage from the fire. We made sure the damage was "Like it never even happened." It may look hopeless to repair what looks to be destroyed. This is where the others fall short. We see an opportunity to restore it and make it look like new again. The professional Claremont team is always up for a challenge, especially if that means helping the community with fire restoration. A typical process of demolishing a wall that has seen better days from a fire. Discovering an unwanted leak is never great for your business. This nail salon in Montclair was up and running in no time after our team completely dried the problem area after a septum tank leak. 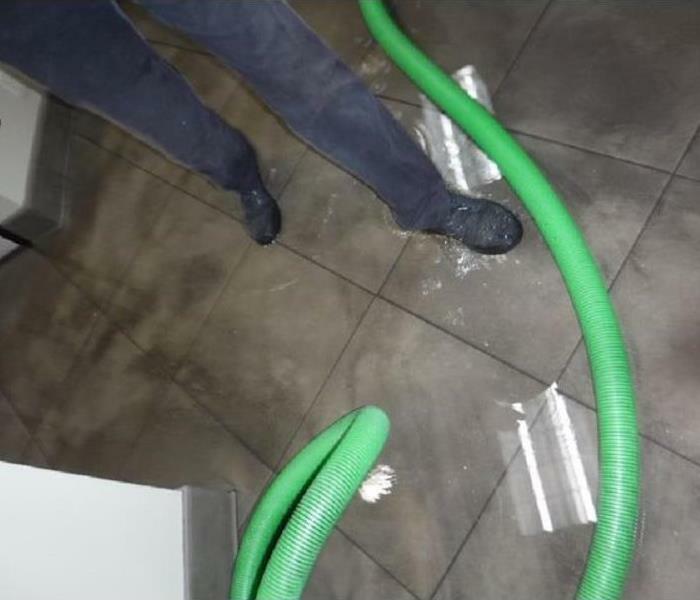 The offices of this real estate company experienced a small flood for the mountain area rains. 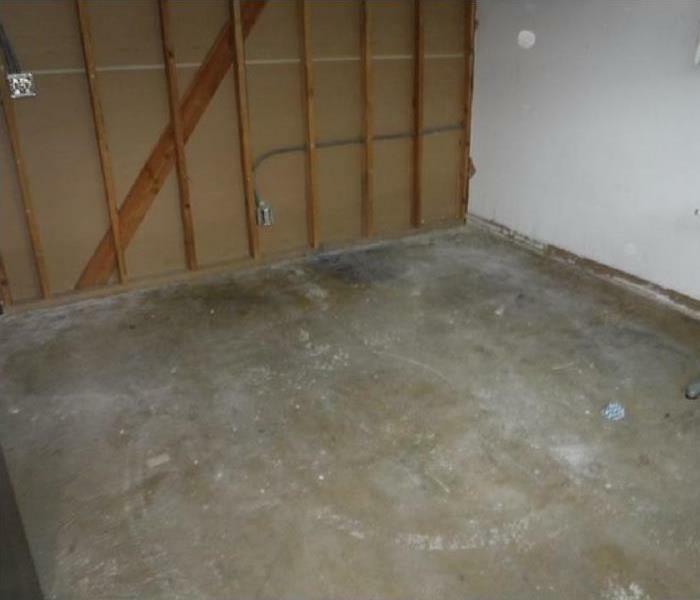 When they opened back up for business, they found a soggy floor and carpet. The company called us just in time to remove the water and stopped further damage from happening. April showers are pretty common for those May flowers to bloom, but not ideal for old roofs. 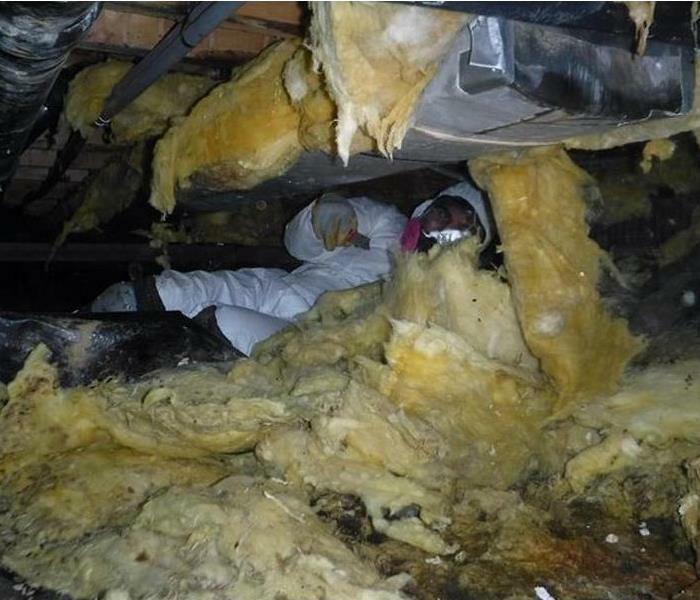 The storm water found its way into the attic, causing lots of mold to grow. Towards the end of the job, it was clear that the remediation process worked. If you live in an older house, you are aware that pipes get old and bust. This was no different for a Whittier homeowner, when they found a leak coming from the hallway wall. We get to the root of the problem and remove it, just like we are doing here. The constant moisture from water will most likely cause mold to begin growing. 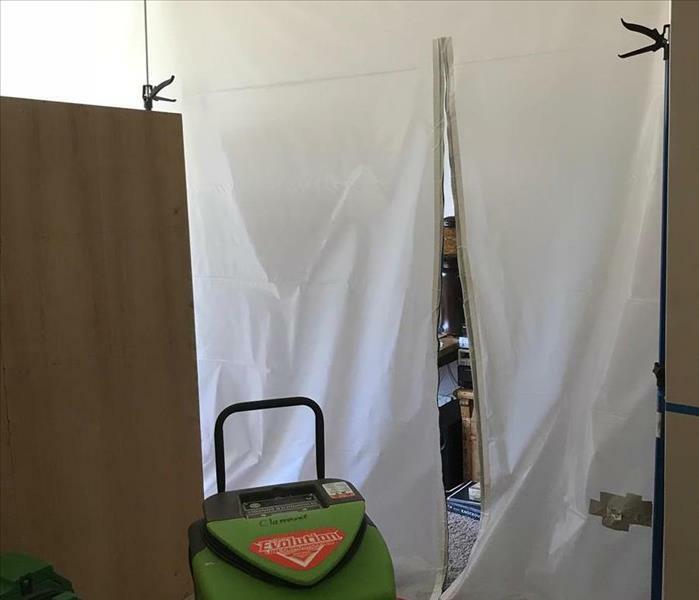 Here is an example of what our specialists routinely do when mold is found – remove it with little disturbance for the rest of the house. A prime example of what a little rain can do to the panel – big damage! Moisture from the rain water can cause a lot of damage, especially if they find their way into the small cracks of the home. This closet fell victim to storm water flooding into the home and making its way up the walls. The dry wall of the affected area was completely cut out and professionally removed. The home at the end of a cul-de-sac seemed so quaint until we stepped inside of the Whittier home. On this job, they experienced a leak in the restroom of a master bedroom. 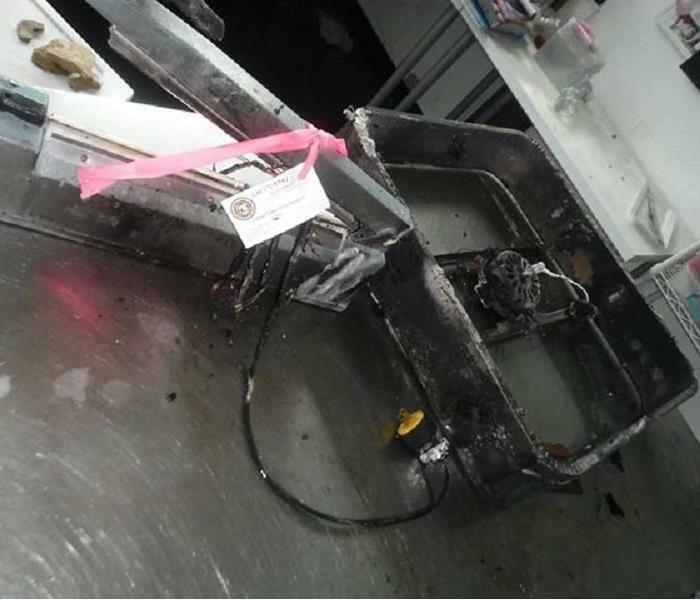 With the advanced section power of our equipment, the problem was “extracted” immediately. Just a sneak peak in the day of the life of a SERVPRO Claremont / Montclair technician. We take not only our health, but each client’s care into consideration. It is routine to quarantine the sections of the building we are working in. There is a lot of dirt and dust while we work – not to mention mold spores being activated while we remove it from your building. Water could be found everywhere once you stepped into this flooded commercial building. 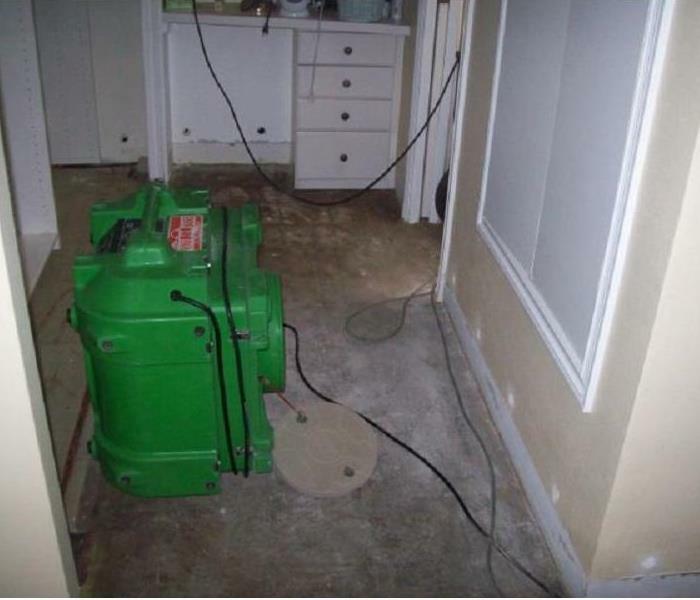 To prevent even more damage from happening, we worked day in and day out extracting the liquid from the floors with our drying equipment. We made sure there wasn’t a drop left, which earned us a loyal customer. Did you know that out of a broken 1" pipe, over 110 gallons of water can flow out every-single minute? Always be on the look out, and always know where your main water/gas shut off valves are located! We are ALWAYS ready to handle whatever tasks may come our way. From cleaning blinds and carpets, to removing wet insulation and mold from a crawlspace, we've got you covered! In this photo we have our Production Manager Dylan, and his handy Technician, Juan, getting all suited up and ready to tackle some of that pesky mold. We always have our crew check each others PPE(personal protective equipment) before entering any potentially dangerous environments. Remember, safety comes first. Here we see one of our Technicians extracting water from a 20,000 sq. ft. commercial warehouse flood. The owner was astonished at how quickly we worked to get his business up and running again. Here we see our highly trained Production manager Dylan(Who, at the time was just a technician), tearing down a drywall wall. 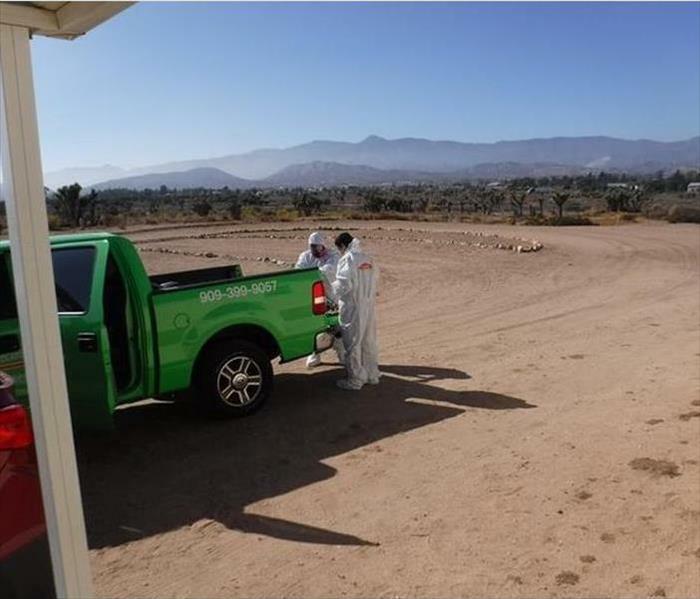 In full HAZMAT attire, making sure safety is always number 1!